Welcome to another unboxing segement of NOC TECH, today we are going to be unraveling the Google Pixel 2 and let you guys know why it’s worth every penny. Without further ado, let’s get tech-king thing down! After 132 days of usage, it’s safe to say this is the smartest smart android phone ever! 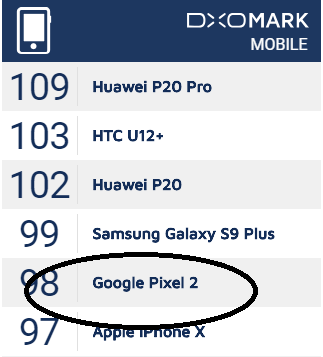 First up the camera, a smart camera with dual-pixel autofocus, is at the top of the DXO mobile chart, ranking at 98th position! In bright light the Google Pixel 2 offers good detail, excellent color rendering, and very impressive dynamic range, making it a great camera for capturing high-contrast scenes. Details are preserved in both highlights and shadow areas, with well-controlled noise levels. 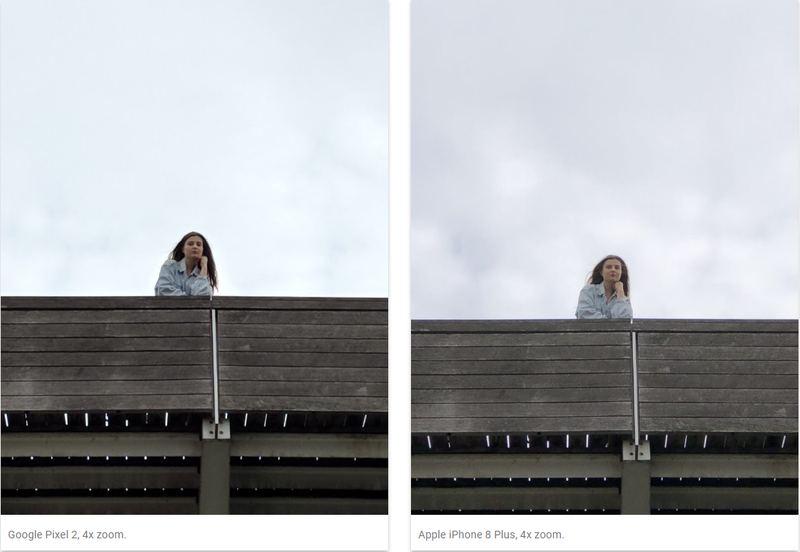 Because the Pixel 2 has only a single main camera, software is what generates Zoom, Depth Effect, Portrait Mode, and Bokeh from one or more frames captured with that camera. The software on the Pixel 2 does a good job on all of these, although with some flaws. Our Zoom tests cover ranges from 2x all the way to 8x. At medium to long range, the Pixel 2 definitely loses detail compared to a true telephoto lens. However, the loss is less than with most other single-camera designs. Here you can see that at 4x, the Pixel 2 does well suppressing noise, but loses quite a bit of detail. Images at zoom ratios greater than 4x weren’t really usable. It’s no doubt that you’ve seen advertisements during the launch of Google Pixel 2, promoting on the fabulous charging speed of the phone. “Up to 7 hours of battery on 15 minutes of charging” is what they have promised and from our test it’s proven to be very much true! 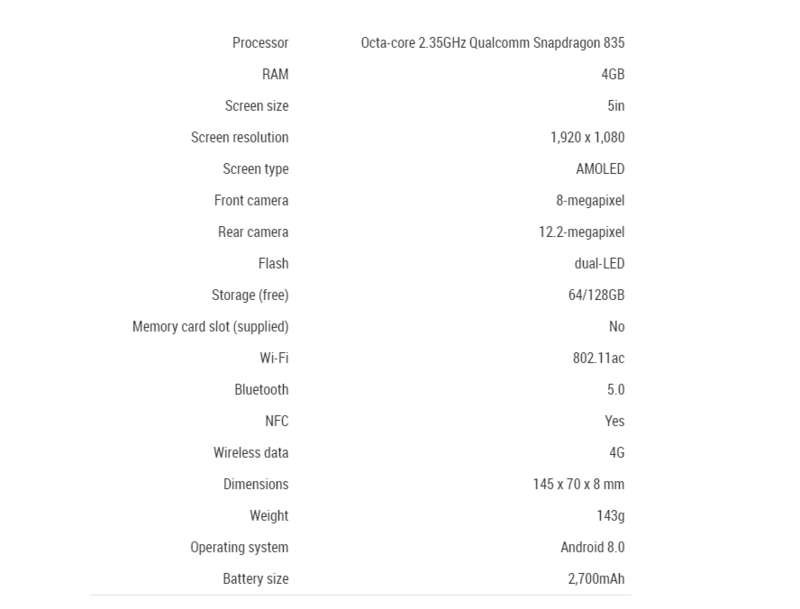 It has a 3520 mAh (Milliamps per hour) charging rate, comes with a USB Type – C charger. Google Assistant is Google’s voice-controlled smart assistant. It’s was originally an upgrade or extension of Google Now – designed to be personal – while expanding on Google’s existing “OK Google” voice controls. We’ve tried it and it’s pretty darn cool! Because Google Assistant knows you and understands context, it can react in an informed or smart way. That’s important as Assistant spreads its wings, because it gives voice control a lot more power and moves it on from only reacting to specific phrases or commands. And surprisingly Singlish is also a language that Google Assistant can pick up too! As for safety and privacy protection, rest assure because anything said or placed with the AI(Artificial intelligent) will be kept safe! One more”WOW” factor is that the Pixel 2 is able to scan and redirect users to the product related scanned item, it’s something you get it scanning a item in “TaoBao” then the product will show up. But in this case, once an item has been detected and scanned, the phone will redirect you to information on the item as well as where to purchase them! The Pixel Buds offer instant access to Google assistant and offer 5 hours of battery life, but the most intriguing feature is real-time translation of 40 different languages. With the feature, you’ll be able to speak to someone in a different language and rely on Google’s Translate to help you get the job done. But as Google’s own support page, and those who have tried out the feature, can attest, it’ll take some legwork to make it happen. Overall, if the Google Pixel 2 is simply amazing, the assistant function is responsive and said to be better than it’s predecessors the Google Assistant V1, the Google Lens can recognize objects in photos with it’s scanning function, excellent camera quality and long battery life. However, the downsides are that are no wireless charging or headphone jack or you can’t preview Portrait mode effect! For a more in-depth review, don’t forget to check out our NOC Tech review right here for more as well as the Google Pixel 2 XLs’ webpage on the above tech https://www.razer.com/sg-en/quartz ! Article by Henry Chua, Julian Tay for NOC TECH. NOC TECH REVIEW: PINK FRIDAY (RAZER SPECIAL)NOC PLAYS: Surgeon Simulator VR!